It was a weekend of firsts at the Daytona 500 on February 26, 2017 as a new era in stock car racing began. 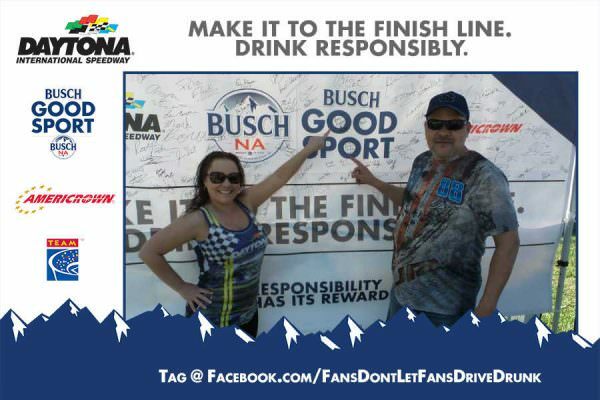 Even before the drivers started their engines, though, fans at Daytona International Speedway were the first to take the Busch NA Good Sport pledge – a promise to never drive drunk and always have a safe ride home. 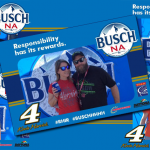 The race marks the third time the track, Anheuser-Busch, Americrown and TEAM Coalition have partnered to promote responsible drinking and traffic safety. 219 fans made the pledge to be designated drivers for their group. 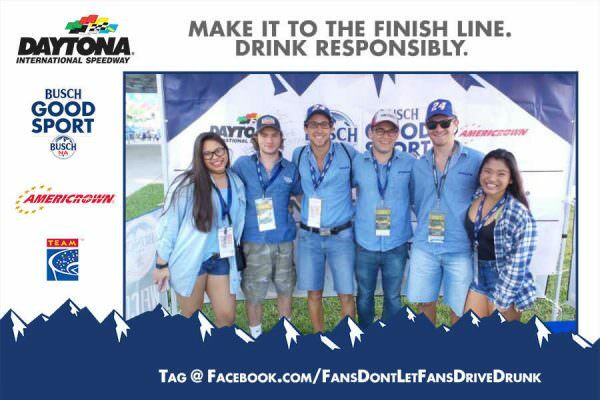 All of them had the opportunity to receive a free souvenir photo and they had a chance to be selected as the Designated Driver for the Race. One randomly selected, responsible fan will win the Responsibility Has Its Rewards (RHIR) sweepstakes. 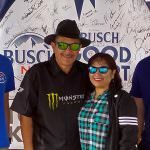 The grand prize includes two tickets and a VIP experience for two at the Coke Zero 400 Powered by Coca-Cola at Daytona International Speedway on Saturday July 1, 2017. 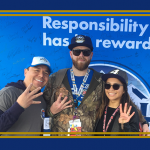 Daytona launched both the 2017 Monster Energy NASCAR Cup Series and the new web-based pledge component of the RHIR sweepstakes for responsible race fans. 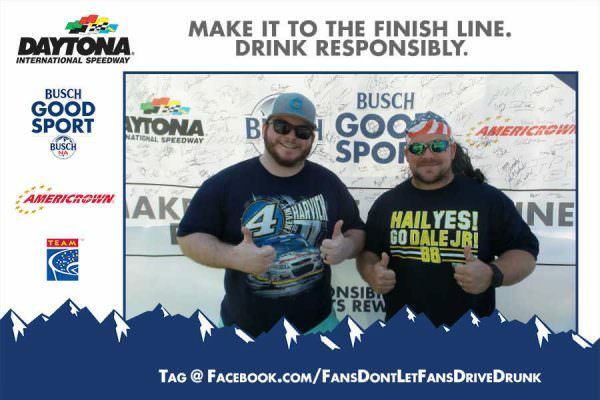 Between now and the end of the season, NASCAR fans who go online to make their pledge to prevent drunk driving are entered for a chance to win a trip to the 2018 NASCAR Hall of Fame Induction Ceremony. Click here to see complete sweepstakes rules. 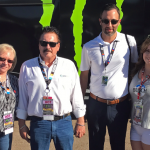 The Designated Driver for the Race from the July 2, 2016 Coke Zero 400 Powered by Coca-Cola at Daytona International Speedway, Wayne Debish, received his Responsibility Has Its Rewards sweepstakes prize – two tickets and a VIP behind-the-scenes experience before the race.